22 years ago, in 1993 Graeme Sim, our company director and a local to the area, started Paisley Chem-Dry, a carpet and upholstery cleaning franchise with patented techniques. 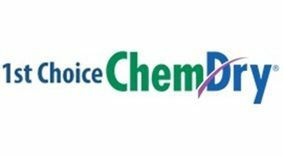 We may have changed our name to 1st Choice Chem-Dry and continued to grow but we still believe in our original ideals; excellent customer service and excellent results. In the upcoming year 1st Choice Chem-Dry will be working with lots of other local companies, creating deals and offers which will be beneficial to all, including the people of Paisley! If your company would like to work with us on any mutually beneficial deals, please get in touch.